The interest in yesterday’s post incented me to rock into the Big Smoke this am and do some research. 2. They’re 4 double-sided bronze panels with a positive imprint on one side and a matching mirrored image on the other. 3. No-one has a clue what they are. The museum bookshop doesn’t know. The museum library doesn’t know. What we’ve established, though, is that they date back to 1962 (which was the year of the museum’s reopening) and that it would be a good idea to find out. Quite understandable, of course – the people who worked there 40 years ago would be pushing 70 or 80 (if not the daisies up…) these days, everyone assumed that everyone knew about the panels and no-one documented them in an accessible form. I’ve seen it happen in business. 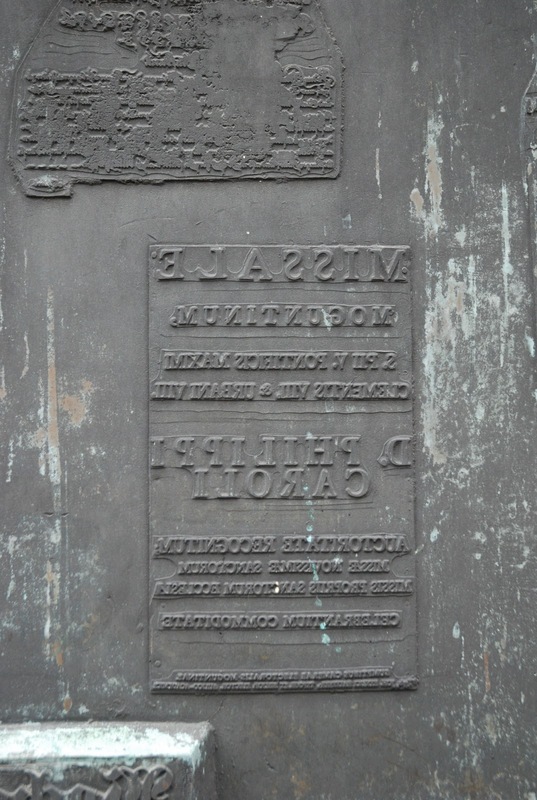 18 Nov	This entry was published on 18 November, 2010 at 12:00 and is filed under Culture, Mainz, The gates of the Gutenberg Museum. Bookmark the permalink. Follow any comments here with the RSS feed for this post.